Give a unique gift for a Birthday with this fun Photo Frame. 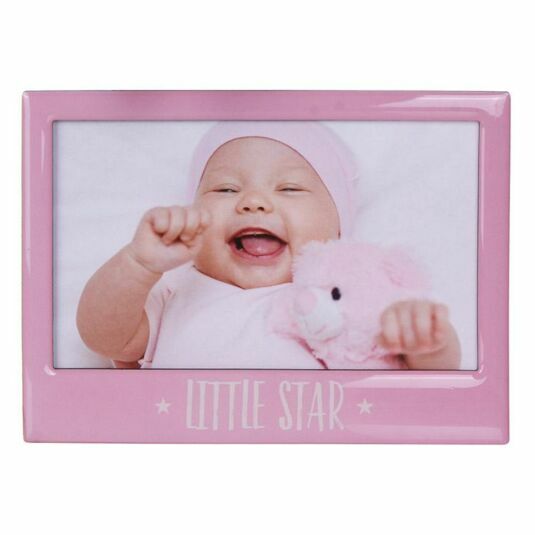 The shiny frame features a bright and bold pink background, with the words ‘LITTLE STAR’ in white. 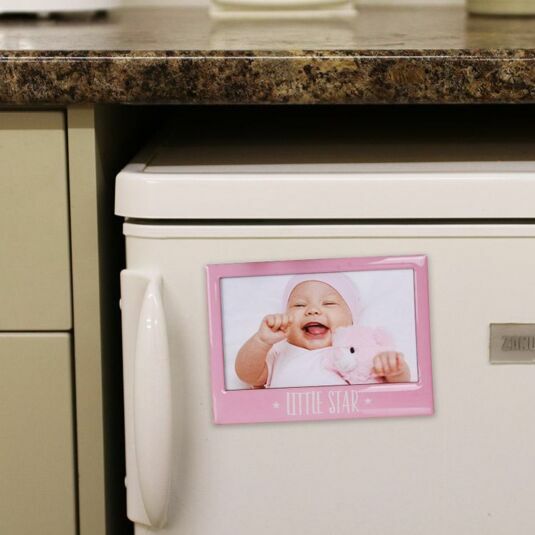 Simply place your favourite 4 x 6 inch photograph behind the frame and you’re done! 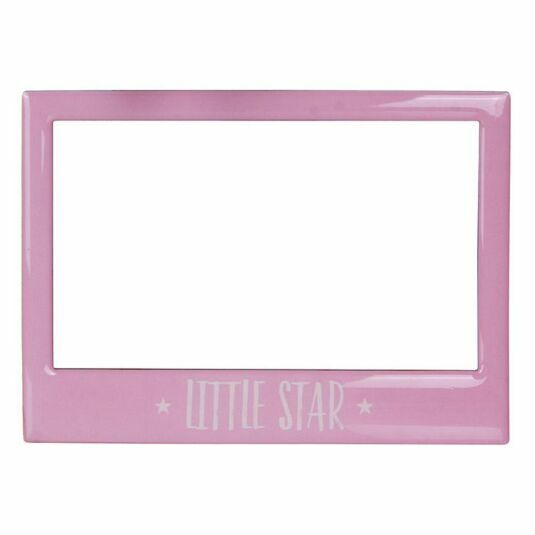 The frame contains a template image which can be used to draw round your photo so it can be cut to the right shape. The photo can be changed for a different one whenever you like!